Today is the World Press Freedom Day. What do we really know about the Russian Media? 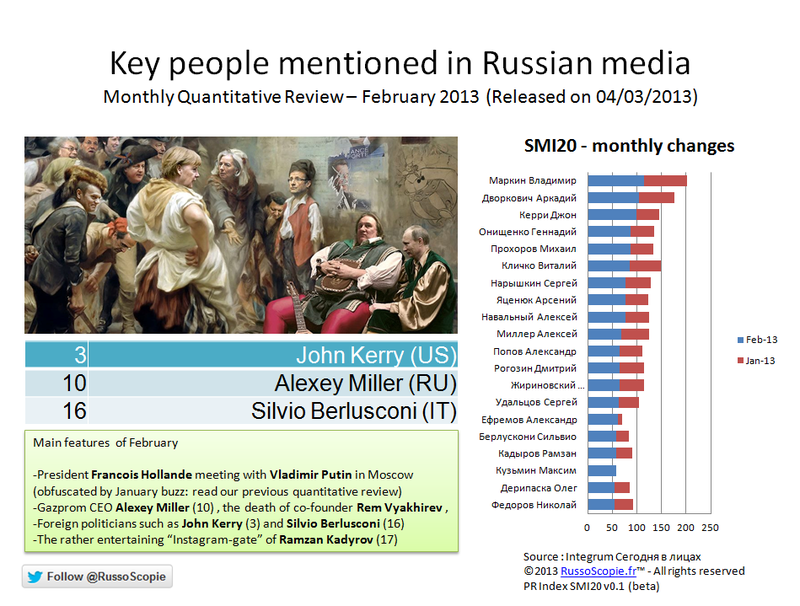 Our monthly quantitative review of the Russian Mass Media (SMI21) tells you who are the personnalities who made the headlines in the past month. We hope it will interest you. For most organisations, knowing the big stories of the past month this is not enough. What’s really useful is detecting in advance the small stories that could become next month headlines in a particular sector (Energy, Agriculture, Industry, Politics, …), the weak signal. INTEGRUM professional databases cover Russian newspapers, magazines, teletypes of information agencies, analytical and statistical bulletins, texts of laws, decrees, blogs etc. As of March 2013, INTEGRUM aggregates more than 10,000 data sources.